Newton County High School Class of 1960 held their 50 year reunion on Saturday, May 1, 2010 at Charlie Elliott Conference Center. Holifield Maddox, Carolyn Carolyn, and R.A.
Gwen Kitchens Hammond, Wayne Hunt, Doug Bailey, Theron Hays, Joe Neely, Randy Prosser, Myrtice Wilson Farrow, Larry Wagner (not pictured). 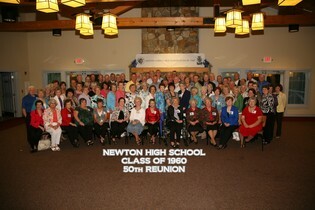 In 1957 when we were freshman at Newton County High School, there were 280 members in the class. 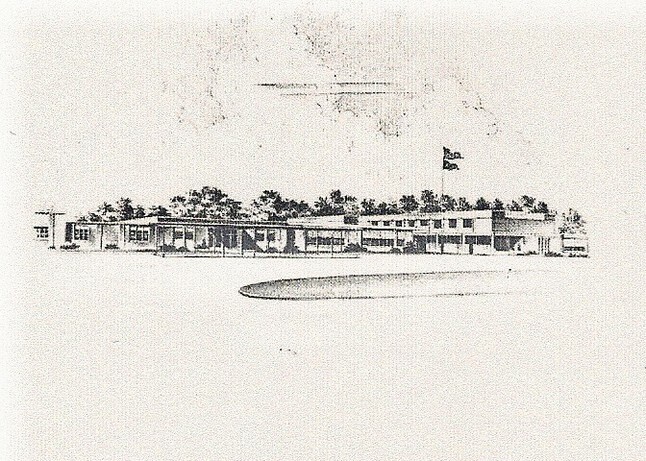 By the time we graduated in 1960, there were only 172 members. 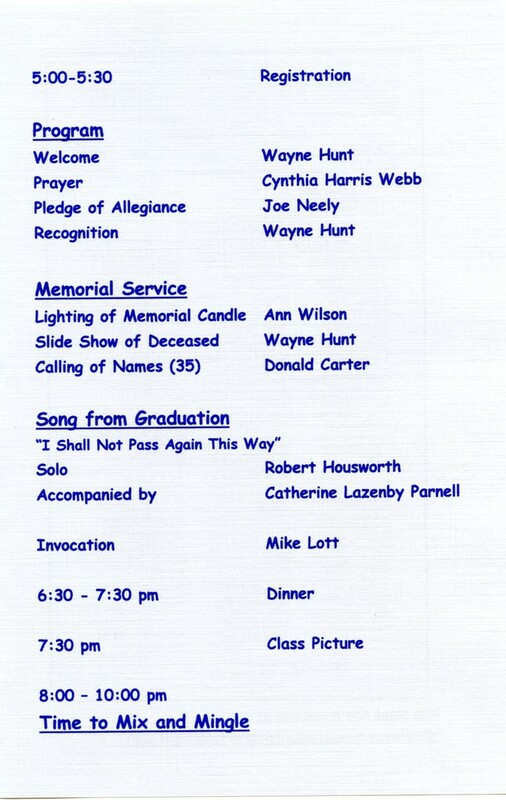 We lost members for various reasons; some moved away, and regretfully some passed away. It has been a long time since we have had a class reunion. 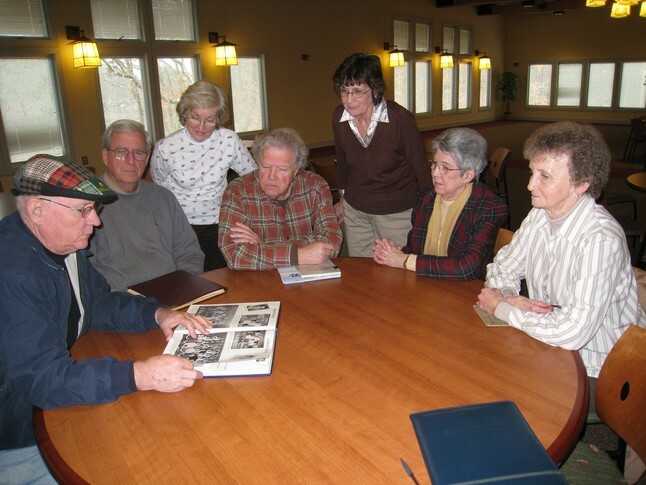 The committee is working hard to make plans for our 50th reunion. You can purchase your photo from Syresa Pilcher at the reunion. Please send me your picture's to add..................! What a wonderful 50 Year Reunion! Thanks to all of you, it was a success beyond our expectations.